This is meant to be a forum for all news from Aldegar that anyone deems worth reporting. At a press conference today, the leader of the People's Party - Social Democrats, Aeronwy Mercator-Bellew, announced her party's intention to leave the coalition cabinet with the Green Party of Aldegar and the Liberal Action League. "One of our party's major achievements recently has been the introduction of a fairer tax system which also reduced the budget deficit that a former Green Finance Minister had brought upon the government. The Green Party has now elected to destroy that fair tax system with the help of the authoritarian National Action Party for the sake of balancing the budget. The fact that there has been no consultation with the coalition party which is providing the Finance Minister before that proposal was tabled is symptomatic of the lack of willingness to communicate with their partners on the side of the Green Party." "The behaviour of the Green Party towards us has been bordering on the arrogant for many decades. The studied insult of introducing a taxation proposal without consulting the Finance Minister for the sake of balancing the budget with a crowbar is only the tip of the iceberg." Ms Tabatabai also announced her intention to table a motion at the next sitting of the PP-SD Executive Council which would call upon the Green Party to leave the Aldegarian Coalition of the Left as the proposed reduction of taxes on higher incomes while taxes on lower middle incomes are hugely increased has demonstrated, in Ms Tabatabai's words, "that the Green Party is, for all their left-wing rhetoric and bravado in making impractical proposals, essentially a party of well-to-do champagne socialists with no real understanding for the situation of ordinary people." Ms Tabatabai's initiative has, however, been rejected by Ms Mercator-Bellew: "We do not presume to tell other parties whether they are left-wing or not, and the problems were not caused by the Green Party's fiscal policies as such, but by the unwillingness of the Green leadership to communicate with their coalition partners. We remain open to future cooperation with all left-wing parties and will not leave the Coalition of the Left, but there has to be a marked improvement in the Green Party's communicative approach before we consider joining a cabinet with them again." Ms Mercator-Bellew declared and she and the other two PP-SD ministers, Tamsin Comerford and Kelly Aitken, would tender their resignations to President Jane Horomia during the course of the day. On a parting note, the outgoing Minister of Trade and Commerce, Ms Aitken, voiced her concern that the forced balancing of the budget would cause an economic recession, as the deficit-spending tactics that the PP-SD has been instrumental in implementing have had little time to cause the desired effect, and that all recent economic advances will be lost through the Green Party's short-sighted and unfair taxation proposal. The Yazdic Alliance (Ettehâd Yazdi), a newly formed Yazdist and clericalist party in Aldegar, has swept the latest elections in the Third Republic, winning more than 40 percent of the seats. 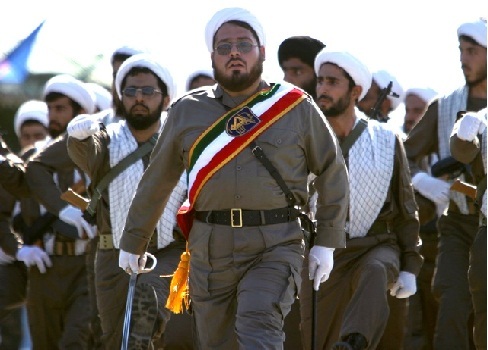 The party, which has the strongest support in conservative and religious South, is led by Yazdic Mobedan Mobad Kurosh Salehi, and wishes to restore Aldegarian monarchy under a Theocratic Shahdom. Strong popular support for a monarchy in Aldegar could also be considered an international response to the recent crisis in Luthori, which threatened to destroy that country's monarchy. Nevertheless, the resurgence of religious fanaticism in Aldegar worries several commentators, who fear it may lead to sectarian violence between the Yazdic and Christian communities. After almost 25 years in office, the President of the Executive Council, Mr Reza Dalirsani (People's Party of Aldegar - The Liberals) has today announced is resignation, to be effective on April 1, 3210. 71-year-old Mr Dalirsani, who has led the government of the Third Republic of Aldegar since 3185, said he wished to make room for a younger generation of politicians to a have a chance of shaping the future of Aldegar. However, Mr Dalirsani does not plan to leave the political stage completely, as he has stated his intention to seek his party's nomination as candidate for President of the Third Republic of Aldegar, the highest, but mostly representative, office of the state. Current President of the Republic, Dr Hannah Kevorkian, is under PP rules not eligible for receiving the nomination for a fifth full term and will therefore not be standing for re-election in 3210. Within the People's Party, Mr Dalirsani's announcement has now opened the contest for his succession as party leader and candidate of the office of President of the Executive council. Informed sources indicate that the Minister of Foreign Affairs, Mr Davoud Kalbashi (57), and the Minister of Finance, Ms Salomé Manoukyan (56) are currently the front runners in the race to succeed Mr Dalirsani. Other prospective candidates include the Minister of Infrastructure and Transport, Ms Fatimeh Amouzgar (51), the Minister of Trade and Industry, Mr Kourosh Nouri (44), and the current Government Chief Whip, Mr Hafez Zandjani (54). The leadership election within the governing People's Party of Aldegar- The Liberals has concluded on 30 March 3210. Three leadership candidates were standing in the contest: sitting Finance Minister Ms Salomé Manoukyan (56), Foreign Minister Mr Davoud Kalbashi, and the Government Chief Whip, Mr Hafez Zandjani (54). Ms Manoukyan was elected on second preference, after Mr Zandjani had been eliminated from the reace. First preferences saw Ms Manoukyan receiving the vote of 42 % of the arty members, followed by Mr Kalbashi at 34 % and Mr Zandjani at 24%. While the majority of Mr Zandjani's second preferences went to Mr Kalbashi, Ms Manoukyan's share was sufficient for her to win the contest with 52% of the vote to Mr Kalbashi's 48 %. Immediately after being confirmed as new PP leader, Ms Manoukyan was also elected new President of the Executive Council of the Third Republic of Aldegar. Notable changes changes in the cabinet include the promotion of Mr Kurosh Nouri (44) from the Ministry of Trade and Commerce to the Ministry of Finace, and the inclusion of Ms Manoukyans opponent Mr Zandjani as the new Minister for Agriculture and Food. Both the PP leadership election were necessary after Ms Manoukyans predecessor in both offices, Mr Reza Dalirsani (71) has announced his resignation after 26 years as party leader and 25 as President of the Executive Council. Mr Dalirsani has received his party's nomination as candidate for the office of President of the Third Republic of Aldegar in the coming elections. In her first statement as President of the Exectuve Council, Ms Manoukyan announced that the elections for the People's Assembly that are due in June will be brought forward by a month. Ms Manoukyan declared that she wished to receive her own mandate to lead the Third Republic of Aldegar into the future, and it is also assumed that the government has an eye on speeding up the process of ratification of the Alliance of Terran Republics treaty, which has been agreed on by a conference attended by Mr Dalirsani in his then function as head of government. The emergence of the Concordia, a right-wing imperialist movement, has shaken the establishment of the Third Republic. A new party has formed in the southern regions of Aldegar, in the hopes of subduing the mighty wave of imperialism. Led by former PP member Jacques Lorraine, the third party, labeled the Aldegarian Centrists, is trying a new tactic to acquire votes in the deeply religious south. "We realize that there are many within our country who believe that matters of religion and morality are the key issues facing Aldegar today. Before now, they have had little choice but to accept the harsh medicine of imperialism in order to vote their conscience. We are giving those voters a new, better option. We say, vote your conscience, uphold republicanism. We want to move Aldegar forward, not backward." In what is quickly becoming the party's motto, the "forward, not backward" mantra has deep historical meaning to AC members. Some, like party leader Lorraine, are devout Aldegarian Catholics, who remember the persecution of the Ettehâd Yazdi little over a century ago. They believe it is possible to find common ground with Yazdist adherents and form a conservative coalition. They face an uphill battle, however, as many Yazdist believers acquaint their faith in Aldegar with imperialism. Still, the AC members see the formation of their party as a step in the right direction, towards religious healing, as well as placing a spotlight on matters of faith that have been neglected in the secularizing state over the past century. The results of last evening's elections concluded in a resounding victory for the People's Party, who campaigned heavily on secularism and defense of the Third Republic. Many who cast a passing glance at the results might be led to believe that the Centrists' strategy worked, but one political scientist says the results deserve closer attention. Roshan Masoud, Full Professor of political science at Kemoku University, analyzed the results late last evening. "What we are finding," said Masoud, "is that the Centrists' strategy of drawing religious voters in the south was largely exaggerated." The most southern and conservative provinces, Kemoku and Polran, still went heavily for the Concordia, though the percentages were notably down. The Centrists only garnered 12% and 9% respectively in the two provinces. In both provinces, the liberal People's Party gained just as many percentage points, and sometimes more, than the Centrists. Surprisingly, the Centrists' strongest showing was in the liberal province of Amuro, earning a second place finish with 21% of the vote. Masoud thinks he knows the reason why. "In a sense, these results show that the Centrists' strategy worked, but not in the way we anticipated. The formation of the Centrists forced the Concordia to pass increasingly more religious and conservative legislation, in an attempt to differentiate themselves from the conservative Centrist platform. This pushed the Concordia to the fringes, allowing the Centrists to hold a truly central position on the political spectrum in the eyes of many voters." Regardless of the reasoning, Republicans are celebrating a huge victory. Rumors circulate that a coalition cabinet could be formed, giving the Centrists representation well beyond their meager 20 seats in the People's Assembly. The Radical Party today announced that they would no longer participate in government, bringing to an end Prime Minister Helgren's 10-year tenure as Aldegar's Head of Government. The announcement marked the resolution of the philosophical & ideological debate that has struck the very core of the Party since the revocation of the constitution by the People's Assembly last year. The RP, in its statement, declared that without the constitution they can not truly call the current Aldegarian state a Republic & vowed not to participate in any government that did not prioritise the restoration or replacement of the constitution. They vowed, however, to continue to work within state institutions to defend the people & nation from further acts of contempt by the PA towards republicanism & the rule of law. The announcement was made by Mr. Helgren, flanked by the party's 5 other ministers, Kurt Heister of Internal Affairs, Nelson Hughley of Finance, Hugh Yarrington of Defence, Alan Zieman of Science & Technology & Leander Barzini of Agriculture, as well as other leading party figures outside Republic House, the Party's HQ, where an extraordinary session of the Party Congress had just been adjourned. Chief among the Congress' passed-motions were one containing the essential points of this new policy & an open letter to President Barrett, both believed to have been sponsored by Mr. Helgren, who later went to the Presidential Palace to deliver both his letter of resignation & the Party's letter. Further statements are expected within the week. WHEREAS the People's Assembly has voted to revoke the Constitution of the Third Republic of Aldegar. WHEREAS a constitution is an essential element of republican government. WHEREAS this party can abide no other system of government. The Radical Party shall cease to recognise the state's claim to a republican nature. The Radical Party shall not participate in the executive branch of the state, except with a view to the immediate return to republican government. The Radical Party may only co-operate in giving confidence to a government which does not commit to such a restoration if it be deemed necessary in a time of grave national emergency. Text of the letter to the President approved by "Motion 3418"
As you are no doubt aware, the People's Assembly has voted to revoke the Constitution of the Third Republic of Aldegar. The Radical Party can thus no longer participate in Your Excellency's government, nor can it recognise the current Aldegarian State as a republic. We urge you however to continue in the mandate given to you by the people & use your powers, as is fit, to act as the final line of defence for the people's liberties. They think that they will be able to get a supermajority in the next elections because 'We don't have any real second party. Just a couple of fake parties made by jokers and this other Liberal party. And I don't think they will be here for long either.' said Van Berkum. "We are all Aldegar really has right now, and we are their best option too." With these next months being focused on Aldegar's possible future in existing, the Republikeinse Handelaar Verbond are planning on leading the charge. Aldegaria, 27 May 3404- The collapse of the Aldegarian liberal government, following its mishandling of the Valruzian Małokrąż Nuclear Disaster and the contamination of the Aldegar Canal, has plunged the nation in chaos. After years of unstable governments, failed coalitions, and corrupt politics, the leading noble families of Aldegar have struck an alliance with the Yazdean clergy, with the intention of returning the weak Third Republic into a strong and moral Shahdom, as it was in ancient times. The people of Aldegar have shown their support for the new Imperial Assembly of Aldegar, granting it more than 40 percent of their votes. This is a sign that the creator Yazdân is once again looking favourably upon our nation, and that the forces of Darkness will be vanquished.